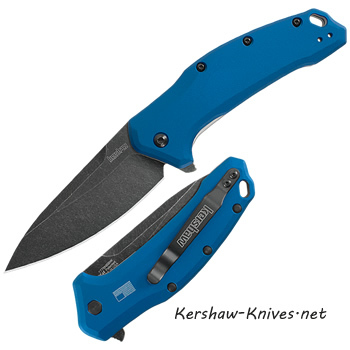 The Kershaw Link 1776NBBW has a black stonewashed blade and blue aluminum handle. 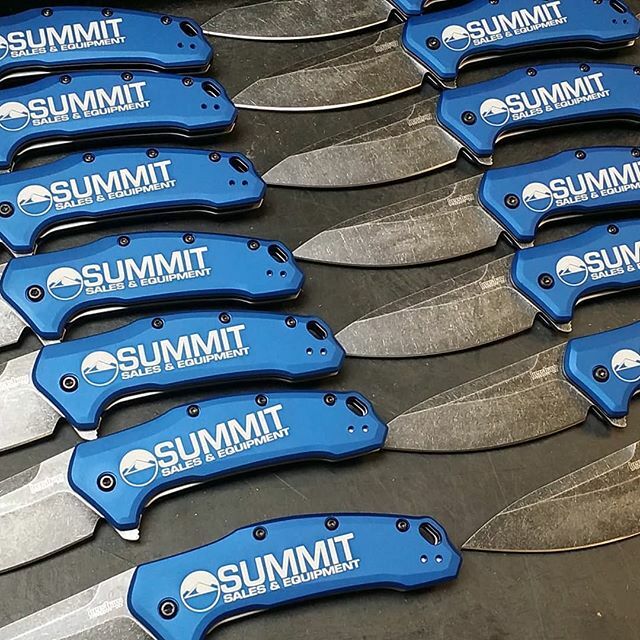 This knife is the missing link for all your cutting needs. 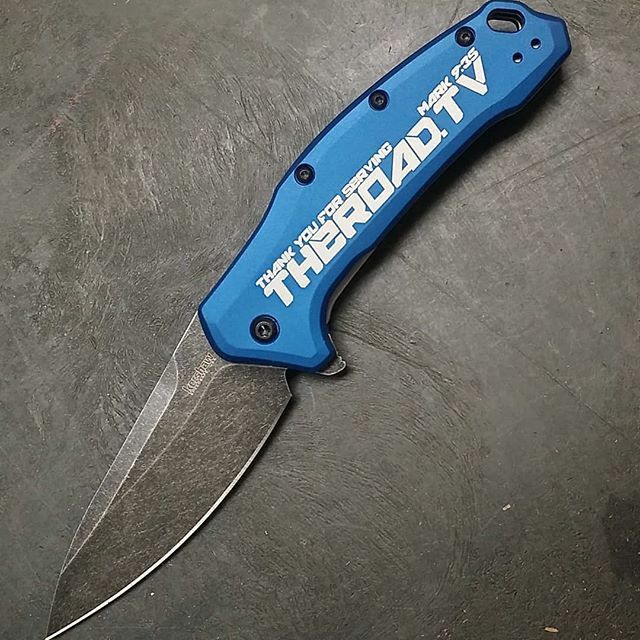 This knife gives the sleek smooth feel and yet a nice wide handle and blade. Cool blue color with the black wash finish to cover up any daily blemishes. 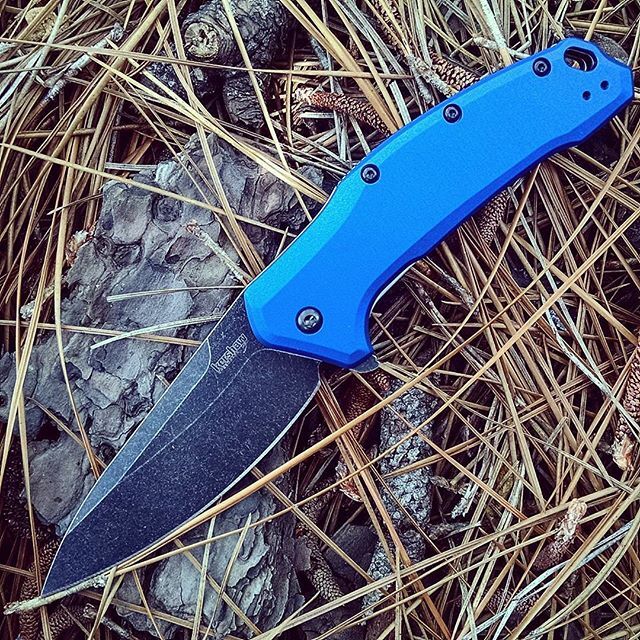 Cobalt blue handle curves in just the right places and 1 inch wide grip. Length of handle is 4.25 inches. 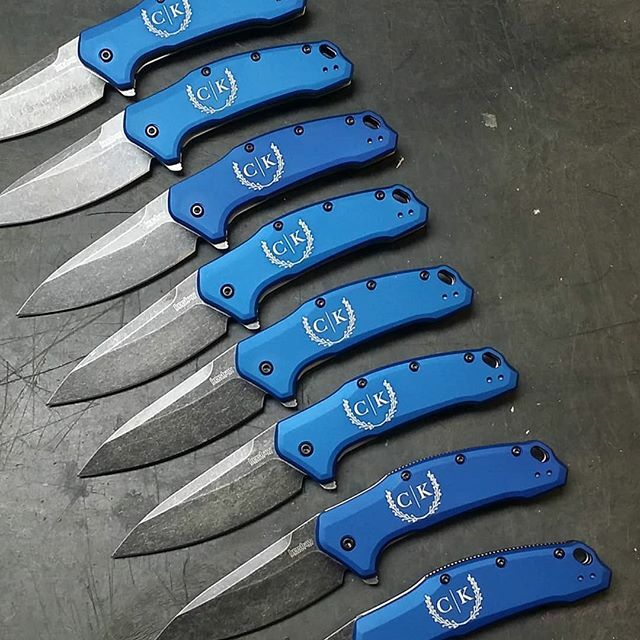 Blade is 3.25 inches long and 1.25 inches wide at it's widest end. Lanyard hole. Black pocket clip can be changed from from to back. American Flag going into battle is engraved on the back side. Made in the USA, American made.